The Roman Doric columns support a Roman Doric frieze and pediment. The Richmond to Gilling road crosses Aske Beck over the Aske Bridge which is thought to have been designed by Lancelot Brown for Sir Lawrence Dundas. It has niches in the pilaster buttresses and it would appear to have been a feature in a designed landscape. A triumphal arch with twin Tuscan pilasters is the entrance to Aske Hall. The wrought-iron gates commemorate Voltigeur, a racehorse owned by Thomas Dundas 2nd Earl of Zetland. In 1850, Voltigeur won both the Epsom Derby and St Leger. He spent his last years at the stables at Aske and after sustaining an injury was shot in 1874 and buried there. 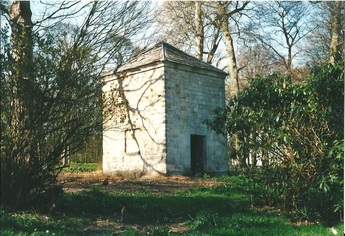 The summerhouse near to Aske Hall was probably built for Sir Lawrence Dundas soon after he bought Aske in 1763. 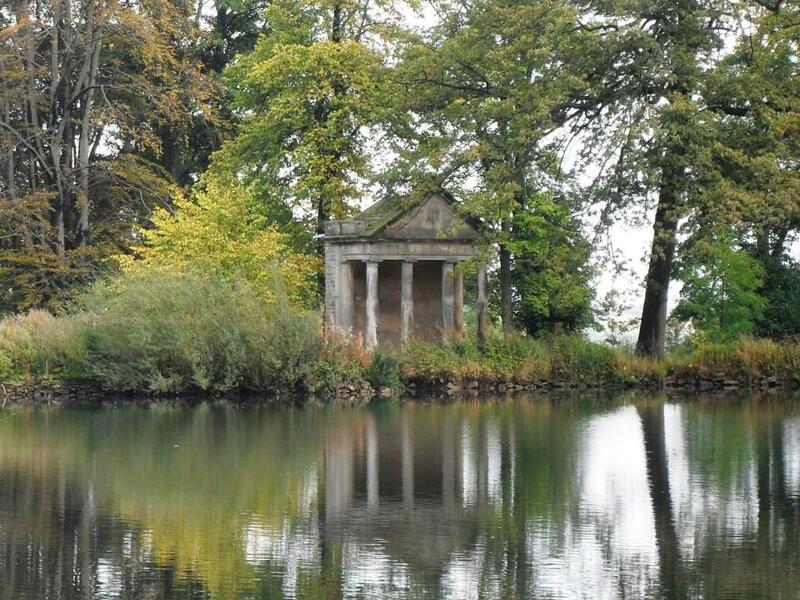 It has two Roman Doric columns with matching half columns on each side that carry an Ionic cornice. 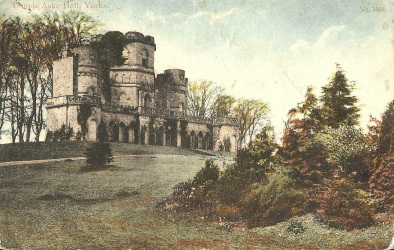 The castle-like hill-top tower was probably designed by Daniel Garrett as an eyecatcher for Sir Conyers D'Arcy, in the mid 18th century. 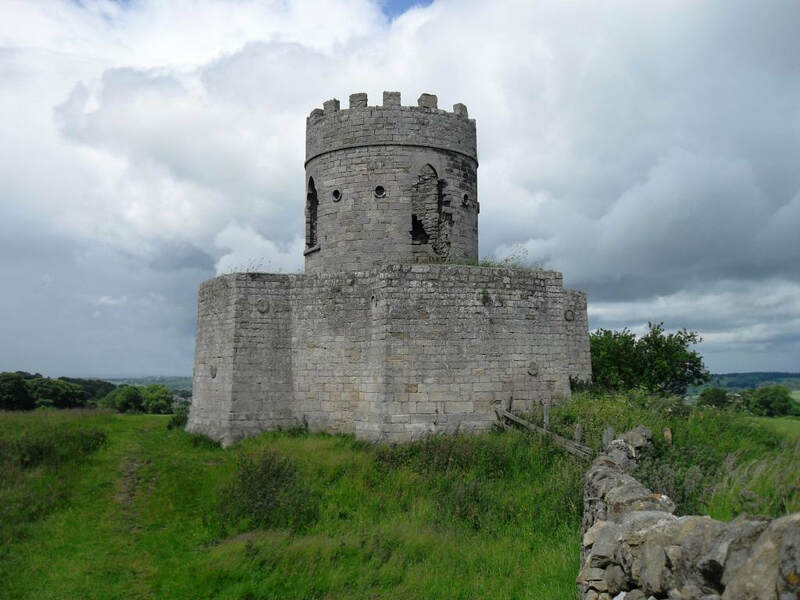 It has interior steps to the parapet and would have also served as a belvedere. There is a small hamlet called Oliver nearby, and Ducket may have been a local name for a dovecote. 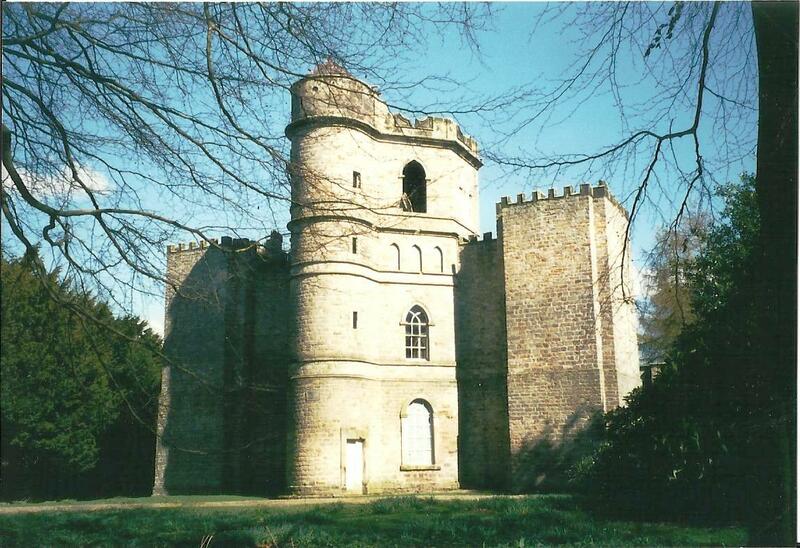 The Temple was designed by Daniel Garrett for Sir Conyers D'Arcy in about 1745, and used for banqueting. Although the basic design is Palladian, the details are Gothick. Previously Sir Conyers D'Arcy had obtained sketches from William Kent. 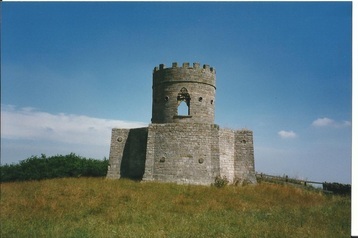 An early 18th century disused water tower on the Aske estate has a moulded cornice, blind windows and a hipped roof.